Long a dream of the Good Shepherd congregation, our plan to build affordable Senior Housing on our Lynnwood campus is finally realized. 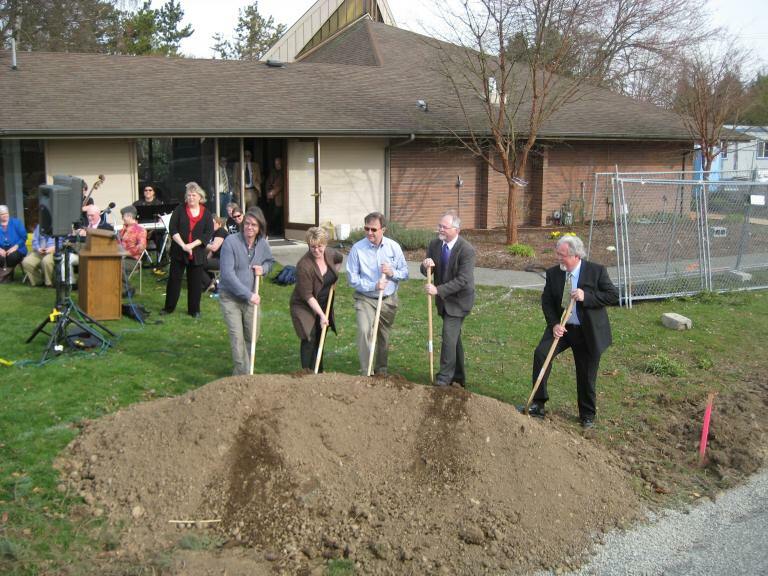 Construction began on March 27, 2009, and the Shepherd’s Garden celebrated its official opening on June 12, 2010!! Quality, accessible and affordable senior housing is going to become more scarce in the coming years as the “baby boom” matures. In partnership with American Baptist Homes of the West (ABHOW), Good Shepherd has constructed a small senior housing facility on the southwest portion of the property bordering 196th and the adjacent multiple family housing site. ABHOW has a long history of providing quality senior housing in the Pacific Northwest. This building is a three-story structure with 39 500-square foot, one-bedroom independent living units (and one unit for the live-in facility manager). The facility will have common areas and also utilize some of the space in the church building. It is a very desirable site since it is close to shopping, healthcare facilities, and other services.